As our staff and volunteers meet with children and young people with SEND, their families and the professionals who support them, many of the same questions crop up time and time again. This is not a surprise as many of us share the same concerns about our children and young people. The list below is regularly added to. By clicking on the question heading, you will find a brief response and links to further information. You can also copy the web-addresses of the pages referred to into your internet search bar. How can I be included more in making decisions about by child's education? 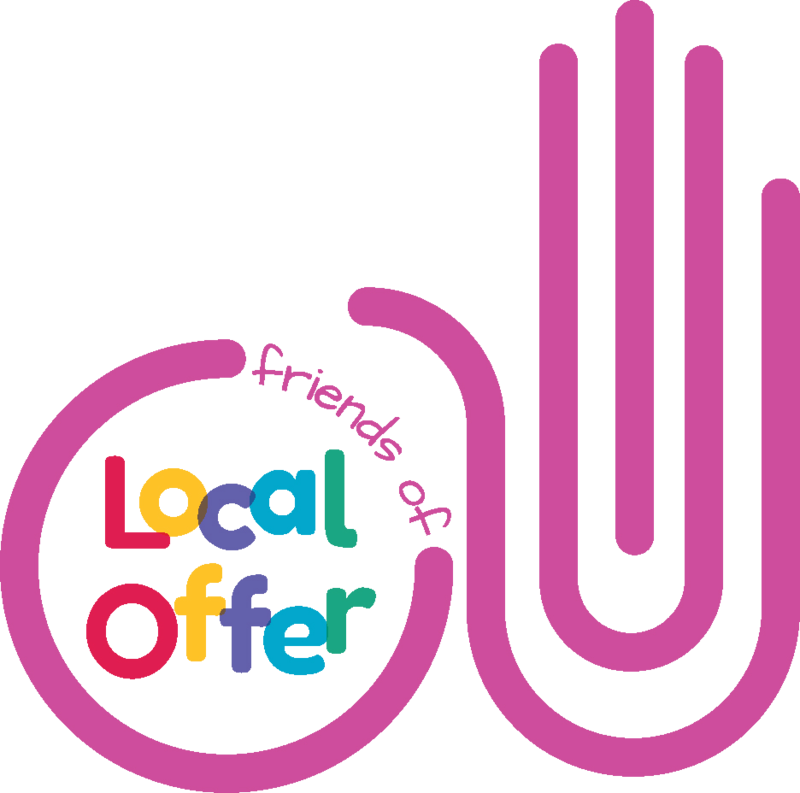 Individual school entries on the local offer provide details about how they plan to include parents/carers in decision making and support for their children. More information on this will be included on individual school websites and in documents like their SEN policy and the SEN Information Report. If you have any ideas on how communications/parental involvement can be approved between schools, other education providers or any other service area please email them to local.offer@blackburn.gov.uk and we will make sure they are shared with the right people. If you have any concerns in relation to your involvement of your child’s education/support you should first raise this with the school. If you would like further advice or support to do this please contact Blackburn with Darwen’s SENDIASS. Their details can be found on our Local Offer here. SENDIASS is a service that is available to help children and young people aged 0 – 25 with SEND and their families. It is available to all children and young people with SEND between the ages of 0 – 25, and their families, not just children and young people with Education, Health and Care Plans (EHCPs). SENDIASS will also be able to advise you what to do next if after raising concerns with the school you are still not happy. From Year 9 onwards all Annual Reviews cover transition planning in preparation for adulthood. An EHC transition plan is completed annually. This focusses on the skills needed to support the young person for transition to adulthood. College representatives are invited to attend these Annual Reviews and can offer information and advice where necessary. The Learning Support departments in all our Local Colleges are keen to ensure that young people feel properly supported in preparation for their transition to college. New Directions Advisers attend review meetings for those on an EHCP for all transition years (Year 9, 11 and 14). They also organise a pre-review meeting with the young person in order to discuss their aspirations/next steps. They use this information to prepare an Action Plan and to share information at the review meeting. What support do colleges give young people with SEND? College websites will also include lots of helpful information on what young people and families should expect from them. If you don’t feel these expectations are being met or you have other concerns in relation to your/your child’s education and wellbeing at college you should firstly raise this directly with them while the young person is still attending the college. If you would like further advice or support to do this please contact Blackburn with Darwen’s Special Educational Needs and or Disabilities Information, Advice and Guidance Service (SENDIASS). Their details can be found on our Local Offer. SENDIASS is an advice and information service that is paid for by the Council, but remains independent and is available to help children and young people aged 0 – 25 with SEND and their families. It is available to all children and young people with SEND between the ages of 0 – 25, and their families, not just children and young people with Education, Health and Care Plans (EHCPs). SENDIASS staff will also be able to advise you what to do next if ,after raising concerns with the school, you are still not happy. I haven’t been happy with the attitude displayed at my child’s school, what should I do? If you are not happy with your communications with your school, or attitude displayed, or the support given to your child whilst at school you should first raise this with the school. SENDIASS can provide advice, guidance and support to do this and can advise on what to do next if you are still not happy. My child has an EHCP, how do I know what support they are getting in school? For pupils with EHC plans, the Annual Review documentation specifically asks schools to demonstrate how they are utilising the support for the child through a costed provision map. Parents will be given a copy of this provision map and there will be the opportunity for discussion at the review. If parents feel that their child is not getting the provision as set out in their EHC plan at any other time, then they should raise this with school in the first instance. If they are still not happy they should then contact the school’s SEN Officer at the LA. SENDIASS can also provide support for families with these matters. We have a Transitions Operational Group made up of Senior Managers/Team Managers from Children’s Social Care and Adults, and also Mental Health and Children in our Care Managers. This is to ensure that there is a smooth transition for young people transitioning from Children’s Services to Adult Social Care. In terms of a pathway, any young person who is already known to Children’s Social Care is referred at age 17 years to Adults for a 12 month period of transition planning and assessment period. As part of this the Social Workers/CSO’s work closely together. The Operational Group ensures that assessment, planning and support is in place ensuring a timely transition at 18 years of age. We have also just developed a new Young Person’s Transition Guide which will soon be uploaded on to the Local Offer and Council Website, this was shared at our Young People’s Forum recently. I will email a copy of this document to PIP if they could promote this at their coffee mornings, and we will also ensure this is part of our Disability Links Information Pack. Any young person not open to Social Care in Children’s Services, but who wishes to have an Assessment at age 18 years from Adults Services can self-refer. Is the short break provision person-centred? Any short breaks provision that is accessed via Children’s Social Care is subject to a Children and Families’ Assessment of Need and is therefore put in place very specifically to meet the young person’s specific needs. The assessment itself is person-centred as it is about the child, their family, their circumstances and needs. A package of short breaks is put together with parents, carers and young people and they make a choice about the services they wish to access. Our annual Short Breaks Statement is available on the Local Offer, and lists all provision in the Borough for families to access according to needs and interests. Those families who meet the criteria for a short break from the Local Authority following an Assessment, can choose a Direct Payment/Personal Budget so can make choices about their own provision and this is very much person centred. Why are the Local Authority’s and Carers Centres' carers assessments formats different? The Local Authority's Children’s Services have a responsibility to undertake a Carer’s Assessment as part of our Children and Families Assessment, and also when parent/carers request this assessment if they provide care and support for a disabled child. We offer a Carer’s Assessment for all children with disabilities as the assessment takes into account not only the child, but also their parent/carer’s needs. There is no one specific format for a Carer’s Assessment which is used nationally, but each Local Authority has a duty to assess, look at specific caring tasks, the impact of this on daily life etc. Blackburn with Darwen’s document includes all of this and enables the Social Worker to determine if specific support is required as part of the C&F Assessment process. The Carer’s Assessment in Adults is in a different format, but covers the same areas which we have a duty to assess. All families are offered a carers assessment by the Local Authority. This is different to the carers assessment offered by The Carers Service. An outcome of the LA carers assessment can be respite either in the form of vouchers or a direct payment in lieu of respite vouchers. Some families have a combination. Parents can complete their own carers assessments which the social worker can send or the social worker will complete the assessment with the family. Why do ELCAS advise some parents to use A&E if their children with ASD are self-harming? ELCAS do provide safety advice to use A&E if parents feel unable to keep their children safe. Primarily ELCAS is a mental health service so wouldn’t exclude a child or young person with ASD if they have a mental health disorder. Why can it be difficult to get an ASD diagnosis? It’s recognised that there are long waiting times for a diagnosis of ASD and work is underway across Lancashire to improve the pathway to ensure children and young people have access to the support they need in advance of diagnosis and while they wait for an assessment and post the results of the assessment no matter whether this leads to a diagnosis or not. Action for ASD have been funded locally to support young people in school. What happens if my child isn’t able to attend school due to mental health issues? A child or a young person may not be well enough to attend school on mental health grounds. If there is a health professional’s report which states this, then provision can be made for them at the St Thomas's Centre; the designated provision within Blackburn with Darwen for pupils who are too ill to attend school. Should my child's IPRA be changed to an EHCP? The vast majority of IPRAs are currently awarded to young people in our high schools. IPRAs will remain in place along with the additional support they provide, unless it is necessary for the Local Authority to transfer them to EHCP’s. This would be necessary if, for instance, a young person needs to move to specialist provision, or a young person becomes Looked After. In such circumstances the IPRA would be converted into an EHCP. How can we find out about apprenticeship opportunities? Blackburn with Darwen's New Directions team are aware of apprenticeship opportunities and will present these as an option when a young person has the necessary qualifications to make them eligible. The Law states that all state (not private) schools must have a behaviour policy in place that includes measures to prevent and deal with all forms of bullying among pupils. These policies are available on each individual school's webiste. If you are worried that your child may be being bullied you should raise your concerns with the class teacher as soon as possible.